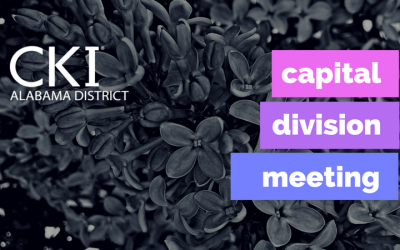 Join us March 8-10 for the 61st Annual Alabama District Convention in Mobile, AL at the Admiral Hotel. Experience upbeat glamour and jazzy luxury as we celebrate a year of service, leadership, and fellowship. You don’t want to miss the premiere Circle K event of the year. 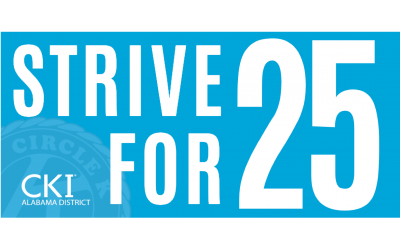 This spring the District Board is challenging each club to Strive for 25 by growing by 25% (or reaching charter strength). The reward for completing the challenge is 100 diecut Circle K stickers for your club! 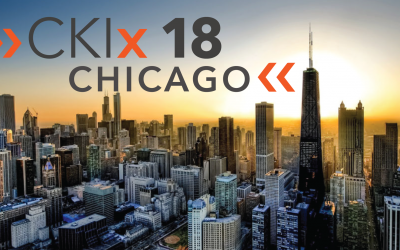 CKIx: Chicago District Tour Registration is live!